Discussion in 'Synthesizers' started by Bunford, Feb 6, 2019. ....from a sensibly affordable range (i.e. not several thousand pound classics), what would you buy? behringer has amazing product and the price is nothing ! but well its pretty expensive - think around 4k€ because this thing is handmade. If money was no object a Yamaha modx or montage.As an moxf owner I was seriously impressed with how they beefed up the factory soundset.Everything the xf and moxf lacked,they covered and then some.Only downside is they got rid of the standard 16 sequencer,but can still record.more like a phrase sequencer and performance arrangement type thing.Korg Kronos is also amazing all around.but very expensive. However there's lots of older boards I'd still love to own that are far more affordable.Id still love a Kurzweil k2600XS even tho they're outdated and sort of a headache.I love the sounds in that board.Lovely for such limited power compared to modern workstation boards.And I've seen them go for a grand or so now. I imagine my answer is a bit different than most here.I kinda like older workstation boards and romplers.I'd mention some analog stuff and some classics but there's software versions that are spot on.I mean there's tons of other stuff too I wouldn't mind getting my hands on.Alesis Andromeda,couple Quasimidi,Nord and even couple Ensoniq boards.But I would likely get something that would get me away from computers a bit more. 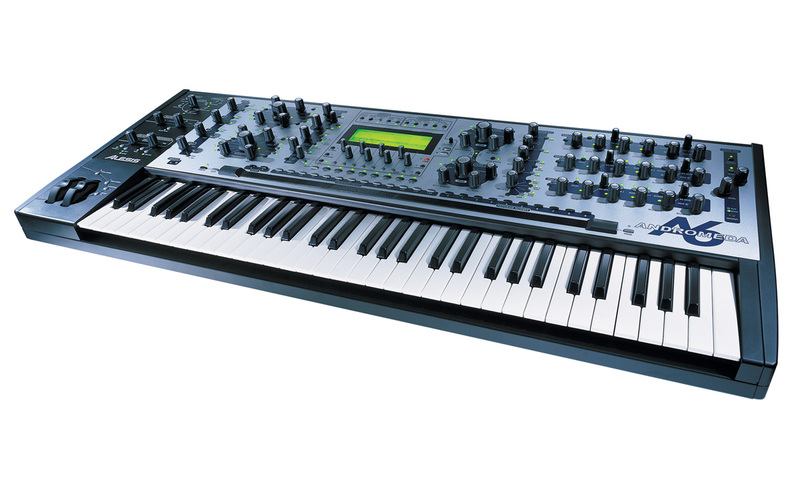 I'd put my money on the new Korg Minilogue XD, it looks & sounds awesome! I just got one last week... Along with a Prophet 6. I'm seriously thinking the Behringer Model D. It sounds legit and is damn cheap credits. I bought the Synapse Audio Legend for the Moog flavour but the Model D takes it that last 10%÷. I have a Sub37 as my only real synth currently in the studio, NI KK S61 in prime slot, but have to agree with Disfunktion that the Korg is a nice synth for the cash. Would entertain a MS20 mini just for fun. My wife bought it for my 50th as I always wanted a Moog, (shes the best awww), it replaced my old workhorse the Nordlead 2 which is currently in the hall cupboard with an Alessis Ion and a DX7. Would have considered the Behringer Model D had it been around when I got the Sub but I love the onboard seq of the Sub. Also have a little Yamaha FB-01 I still use for basses (best latley bass ever). ok i had a look :hall is also a Flur in german..